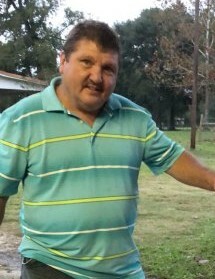 Mark Keith Henson, 57, of Cleveland, Texas passed away on Wednesday, January 23, 2019. He was born on Sunday, May 21, 1961, in Dallas, Texas, to Kenneth J. and Dorothy Henson. Mark was preceded in death by his father, Kenneth J. Henson. Left to cherish his memory is his loving wife of 21 years, Debra Henson; his mother, Dorothy J. Henson; daughters, Jordan Henson, Brianna Henson, Kortnie Henson; son, Joshua Henson and wife Allison; brothers, Kenneth "Mike" Henson, Monty Henson and wife Tammy; sister, Darla Sims and Steve; along with numerous other loving family and treasured friends. Visitation for Mark will be held at Neal Funeral Home on Thursday, January 31, 2019, from 5:00 p.m. to 9:00 p.m. Funeral services for Mark will be held at Cornerstone Church, on Friday, February 01, 2018, at 11 a.m. Interment for Mark will immediately follow at Ryan Cemetery. Brothers Bobby Trail, Ron Shull, Jimmy Boggs officiating.